What are the Benefits & Risks of Spread Betting? 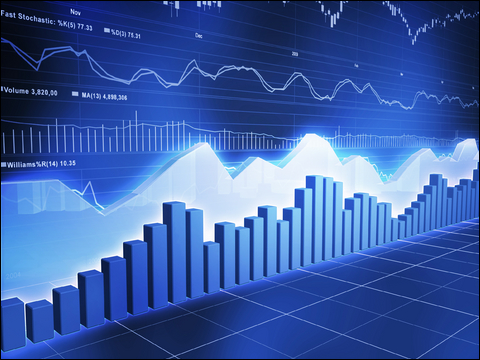 Financial Spreads offers over a thousand markets including shares, forex, commodities and stock indices. For further information on the full range of products we offer, see our spread betting market information page. Financial Spreads does not charge any commissions or brokerage fees when you open and close trades. We make our profits from the spread that we apply to either side of the underlying market. There are also no fees for holding an account. If you don't trade for a few months, or longer, that's OK, we don't charge you. Note, however, if you keep a 'Rolling' trade open overnight then we do charge a small overnight financing fee. Also see quick guide to rolling fees. Overnight financing fees do not apply to Futures trades. Therefore, with only £120 of margin required to open a trade worth £4,000, this means that you have freed up £3,880 of capital to put to use elsewhere. Note, however, you are still exposed for the full value of the trade, i.e. £4,000 in this example. Therefore, you could lose more than you allowed for if the market moved against you. Spread betting, CFDs and margined forex trading are leveraged products which carry a high level of risk to your capital. Please ensure spread betting, CFDs and margined forex meet your investment objectives and, if necessary, seek independent advice. Of course, taxes are subject to change in the future and can differ in other jurisdictions. Tax treatment can also depend upon the individual circumstances of each client. If you are not based in the UK or Ireland, you may not be able to take advantage of these tax benefits, in which case, you may prefer our CFDs. Our CFDs markets operate in a very similar way to our financial spread betting markets, for more details please see our CFD trading guide. The table below compares spread betting with traditional stock broking for a Lloyds Bank share trade that is held open for 30 days. The 'Cash Outlay' assumes a 5% margin. To see how the 'Overnight Financing' for the spread bet is calculated, please see our guide to rolling markets. Remember that your risk is still the same whichever method you choose. If the company you were trading went bankrupt and the share price fell to 0p, then you would still be liable for a £14,010 loss with Financial Spreads and not just the 5% deposit of £700.05. The other benefit of doing this trade as a spread bet is that you've freed up £13,300 of capital to use elsewhere. You could even put that money in your bank account to earn interest (which could go some way to paying for the overnight financing). Remember that as with all spread bets you do not own the underlying asset. So, if you open a buy spread bet on a share you will not have any voting rights. FinancialSpreads+ accounts - with these accounts our platform automatically adds a Stop Loss order to each trade you open, therefore your financial risk is significantly reduced. FinancialSpreadsMT4 accounts - with these accounts we do not automatically add Stop Loss orders to each trade. However, when you open a trade we do recommend that you manually add a Stop Loss in order to significantly reduce your risk. Whichever account type you use, it is important to note that Stop Loss orders are not guaranteed. Therefore if a market gaps, your Stop Loss may not be filled at the level you requested, this means you may lose more than you allowed for. Note that for a small premium you can opt for your Stop to be guaranteed. For more details, see our guide to Guaranteed Stop orders. Naturally you can speculate on markets to go up. However, another key advantage of spread betting is the ability to short (or sell) a market. If you think a particular share price, forex pair, stock market index or commodity will fall, spread betting is a quick and convenient way for you to speculate on that market to go down. Financial Spreads is a trading name of Clear Investor Ltd. which is an appointed representative of FINSA Europe Ltd., company no: 07073413. FINSA Europe Ltd. is authorised and regulated by the Financial Conduct Authority (FCA), registered number 525164. All client money is safely held in fully segregated and ring fenced accounts in accordance with the FCA's client money rules. In the very unlikely event that Finsa Europe Ltd. was to go into liquidation and there was a deficiency in the client money bank accounts, individual accounts are covered by the Financial Services Compensation Scheme, up to a £50,000 maximum per client. Spread betting also allows you to trade in sizes smaller than those usually available in the underlying market. For example, you can trade the UK 100 from as little as £1 per point. Unlike many forms of trading, financial spread betting lets you trade in one currency. This means you can avoid costly foreign exchange fees. Traders can choose to have their account denominated in pound sterling, euros or US dollars. E.g. if you are based in the UK and want to trade the US stock market you don't have to convert your funds into dollars, trade, and then convert your funds back into sterling. You can just speculate in sterling. For a fully worked example see, spread betting on the US stock market. Although you can make substantial profits from financial spread betting, it is important to note that it carries a high level of risk to your capital, so you should only trade with money you can afford to lose. With our FinancialSpreads+ account, we try to limit client losses by applying a Stop Loss order to each trade you make, but these Stops are not guaranteed. As a consequence, if a market gaps, you may lose more than you allowed for. Leveraged trading, that is, "trading on margin", has its benefits, i.e. it helps to free up your capital. However, you are still liable for any unforeseen and unexpected adverse market movements. As with the example above, where you only need £120 on deposit for a £5 position in Sky PLC at 800p, in an extreme scenario you could still lose £4,000 (for example, if Sky PLC went bust overnight). Before you apply for a spread betting and/or CFD account, please ensure that you familiarise yourself with the risks involved and that spread betting matches your investment objectives. You may wish to seek independent financial advice before applying for an account. If you are new to trading, we recommend that prior to applying for a live trading account, you use our free online Demo Account. If you want to know more about the risks involved, please read the Financial Spreads risk warning.